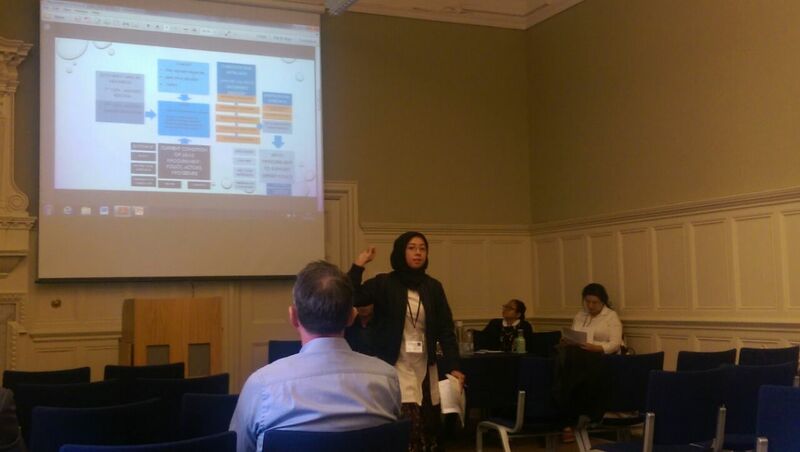 In 16-18 August 2017, the European Association for Southeast Asian Studies (EuroSEAS) conducted the 9th EuroSEAS Conference in University of Oxford. Founded in 1992, EuroSEAS aims to stimulate scholarly cooperation within Europe in the field of Southeast Asian studies. EuroSEAS conferences are hosted each year by a European university or research center. The 2017 conference in Oxford hosted around 450 conference participants from around the world, representing over 40 countries. One of those participants was Curie Maharani Savitri, a Faculty Member of the Department of International Relations of Binus University. She participated in the panel entitled, “The Indonesian Perspective: Military Professionalism under Democratic Control” convened by Shiskha Prabawaningtyas from Paramadina University. The panel was joined by Anton Aliabbas from Cranfield University, Diandra Mengko from Indonesian Institute of Sciences (LIPI), Ms. Shiskha and Mrs. Curie, and discussant Anastasia Filippidou from Cranfield University. In the panel, Curie presented a paper entitled, “Does Offset Help Streamlining Arms Procurement in Indonesia?” Offset is a form of compensation demanded by a buyer country to accompany the main procurement contract –usually costly high technology– from abroad. 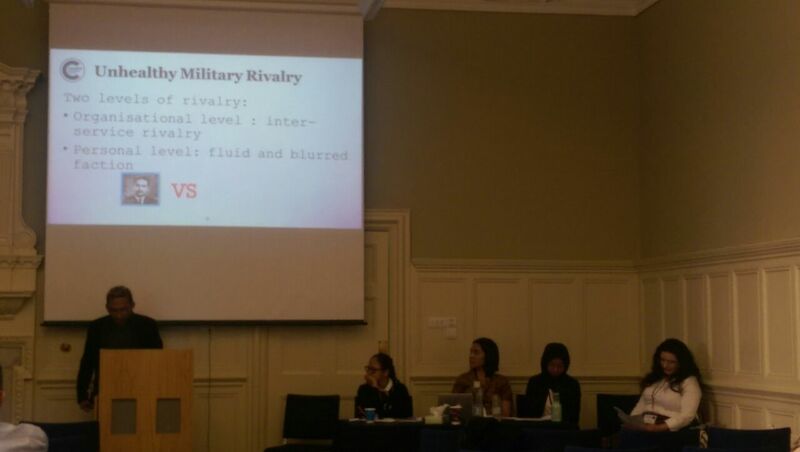 Curie started her presentation by citing heaps of literature of civil–military relations in democratizing Indonesia in the post-1998 period. She complimented the integrative and institutional approach of civil–military relations during Yudhoyono’s Administration (2004-2014), including the military modernization program dubbed as ‘Minimum Essential Forces’ (2009-2024), the creation of Committee for Defense Industrial Policy (KKIP) in 2010, and the issuance of Law No.16 /2012 on Defense Industry. One important aspect of the law is mandatory counter trade, local content, and offset policy which compels fundamental changes in the way the Ministry of Defense and the Armed Forces conduct arms procurement from abroad. Curie’s paper aimed to evaluate the changes that took place in the arms procurement process after the issuance of Law No.16 /2012 to accommodate offset policy. In order to do so, she explores the discussion on the challenge of civil–military relations in arms procurement; the discussion on the mandates of Law No.16 /2012 to streamline arms procurement and identification on the factors that affect the politics of arms procurement decision making that eventually shape the way offset is interpreted and implemented by different stakeholders; and the evaluation on offset implementation in general and in two case studies in which offset is absent. In the paper, Curie concluded that the Law No.16/2012, with its supporting regulations, namely Government Regulation (PP) No. 76/2014 and Defense Ministerial Decision No. 30/2015, mandated streamlining of arms procurement to accommodate offset. Offset is increasingly accepted in the Ministry of Defense and the Armed Forces, as proved by 26 offset programs attached to procurement process throughout 2015-2017. KKIP as representation of civilian government determines the interpretation of offset policy, while the Ministry of Defense through ad hoc offset team is responsible for its planning and implementation –both is subject to approval and oversight of KKIP. This shows that civil–military relations in offset implementation exist, despite shortcomings. Dependence to ad hoc offset team negates the very essence of integrative and institutional approach, which is dependence on agency. Offset evaluation is limited to planning and pre-contract negotiation, hence further evaluation on its post contract implementation is required to establish whether the performance and impact of offset are felt. Defense transformation continues with integrative and institutional approach, but challenges remain. The program of the 9th EuroSEAS Conference can be viewed here.